The 751 factory was a power supplier of the hexad – 706, 707, 718, 751,797 and 798 – that formed the first electronic component production base of New China in the 1950s. Because they mainly produced for the military, the factories were identified only by numbers. During its early years, 751 produced coal gas to power the whole industrial zone. Later it expanded production and began to send its surplus to nearby residential areas. By the late 1980s it provided one-third of the coal gas consumed in Beijing. During China's industrial reform around the turn of the new millennium, 751 changed its name to Zhengdong Electronic Power Group Company Limited. Natural gas used to be piped into Beijing as part of the capital's efforts to improve its air quality, and coal-gas energy sources were gradually phased out. In 2003 as natural gas was substituted for coal gas, Zhengdong Power ceased production, abandoning the sprawl of workshops and generation and transmission facilities covering its factory zone of 220,000 square meters. Unlike 798, where the initiatives of individual artists resurrected old industrial turf, the 751 factory owes its new lease on life to joint efforts by the local government and official organizations. 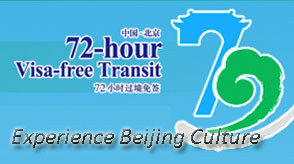 In 2006 the Zhengdong Group and the China Fashion Association agreed to change 751 into the D.Park of today, an initiative that had the blessing, support and coordination of the Beijing Municipal People's Government and Beijing Municipal Bureau for Industry Promotion. Since the park's opening in 2007, China Fashion Week has been holding its annual spring-summer and autumn-winter shows here in March and November respectively. One of the shows is set against a backdrop of the 68-meter-high coal-gas tanks and several looming boilers, cross-hatched by parallel coal-gas transmission pipes. The mingling of the models' chic elegance and elusive style with the heavy presence of industrial icons creates a balanced and rich polemic. "The catwalk, a structure purpose converted from the old factory facility, cost only 10 percent of what a regular fashion walkway costs, and the effect is much more impressive," says Zhang Yan, deputy secretary-general of the China Fashion Association. Nestled against the bustling 798 Art Zone, the 751 D.Park is more like a quiet, huge studio. "798 concentrates on contemporary and modern art, while we focus on fashion design, so we hope with the advantageous facilities and conditions we have here, to develop a full industrial chain," says Ruan Lihai, head of Zhengdong Group's Information Department. Most of the early arrivals at 751 were fashion designers; later came the architects, furniture designers, animators and digital media artists. Bound by their artistic insight and creativity, the new professionals have transformed the dreary old workshops into edgy exhibition spaces and studios. A You, a delicately-featured and imaginative woman who has established a brand bearing her own name, works with traditional tailoring elements such as tied and coiled cloth buttons, and cloth fabrics with culturally iconic floral patterns. But the designer fashions them into the harsher geometries of modern silhouettes. Her studio at 751 enshrines the original structure and pipelines of the old workshop, whose remodeling cost was kept under RMB 100,000. A You goes to the countryside every year to get inspiration for her designs and stews over them here at 751 through conversations and exchanges with other designers and artists. She believes that art and industrial design are siblings, and many of her ideas were actually inspired by the symbols of heavy industry. 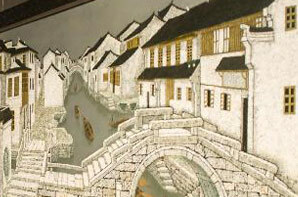 The studio of brothers Wu Xuewei and Wu Xuekai can be found behind a black door whose two panels are each painted with a row of seven short white lines along the inner edge. Seen from a distance the door resembles a traditional man's jacket buttoned in the middle. 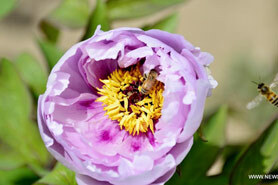 "I moved to 751 so I could breathe its artistic air anywhere and anytime around here. Many music groups play here, and there are always art exhibitions and art lovers in the park; they are my source of inspiration," says Wu Xuewei. 751 has given Chinese designers the first fashion release platform all of their own. 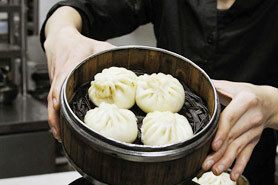 In the past, seasonal releases were done at China World Hotel and a few other five-star hotels in the capital. Last year D.Park became the permanent and sole venue for all fashion shows and releases of China Fashion Week. 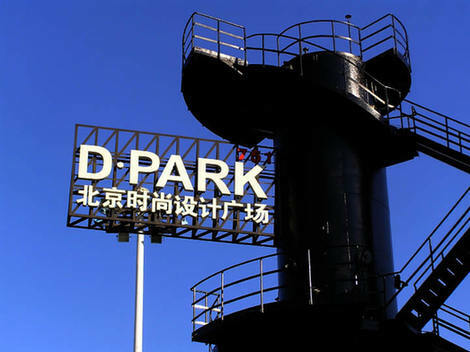 According to Wang Qing, chairman of the China Fashion Association, they picked out the Zhengdong Group's deserted factory facilities to build D.Park, aiming to inject new vitality into the industrial leftovers. D. Park covers 30,000 square meters, and there will be three stages of construction. The first, an experimental stage, is expected to achieve an annual production value of RMB 1 billion, providing employment for 500 people. The second stage is meant to form a basic industrial chain. By the third stage the park administrator hopes a scale operation and an international fashion release platform will have emerged.